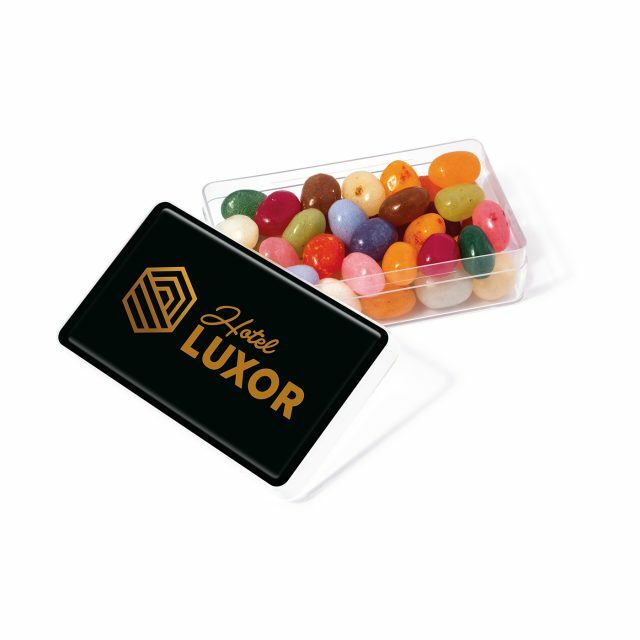 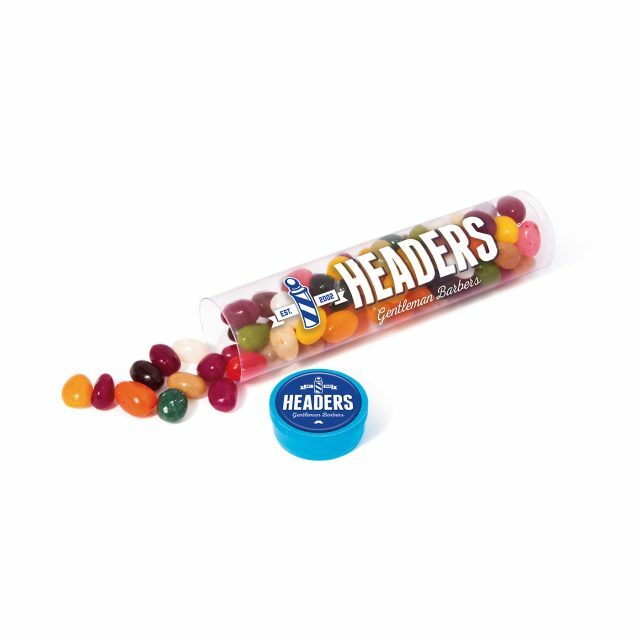 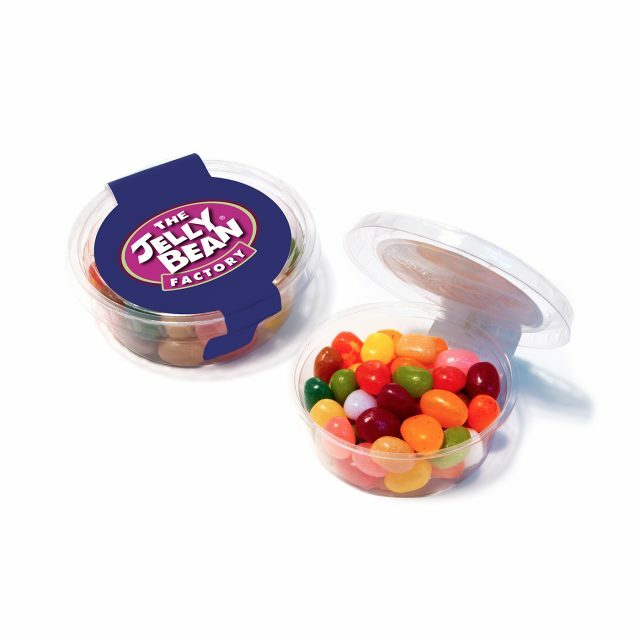 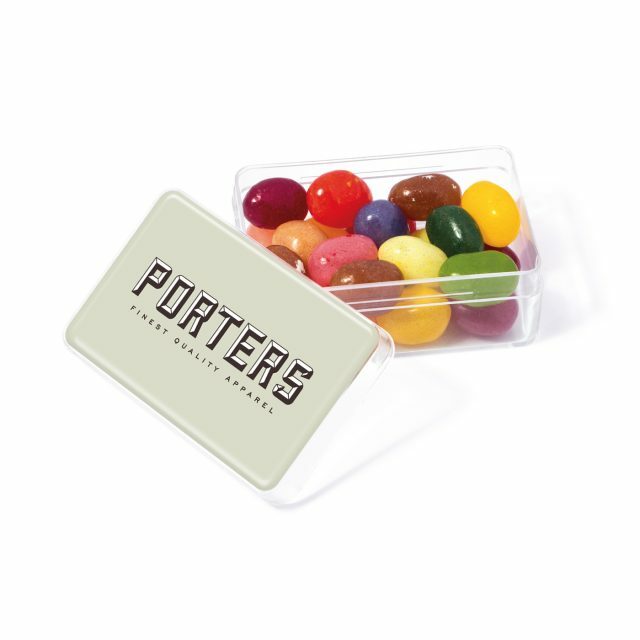 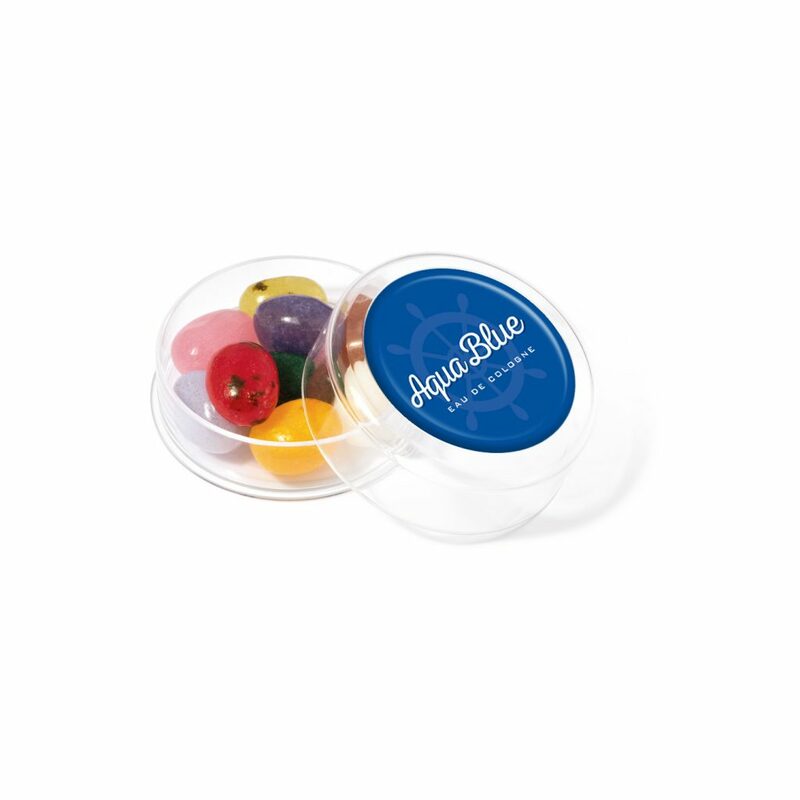 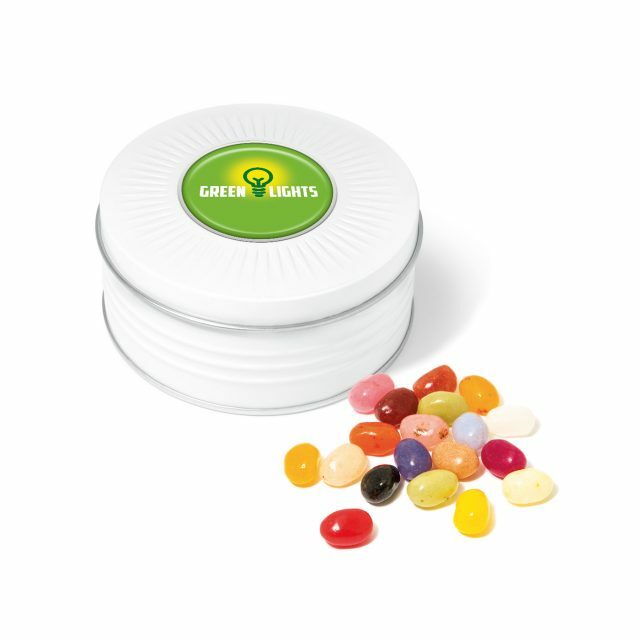 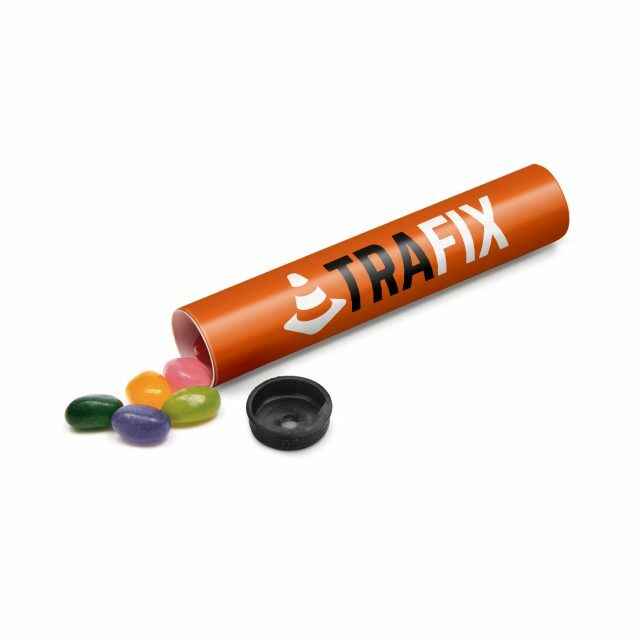 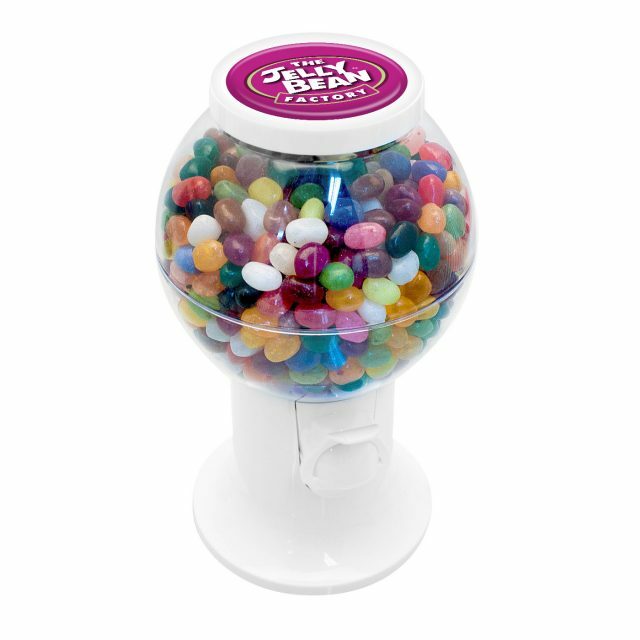 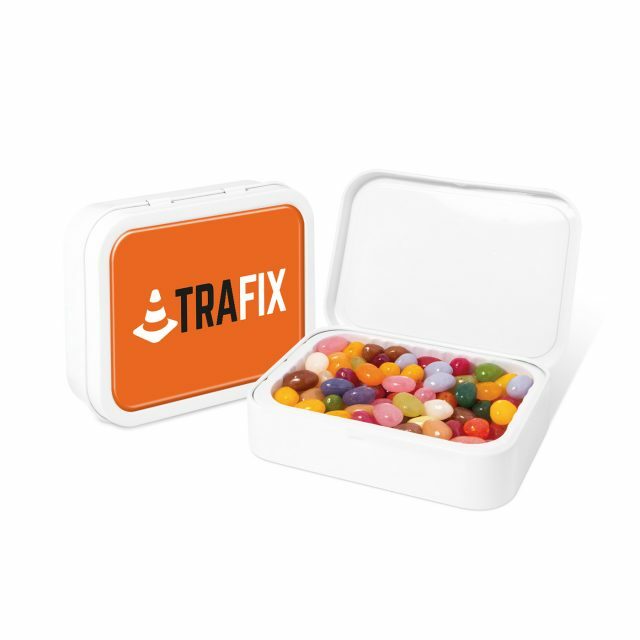 A Mini Round pot filled with Jelly Bean Factory jelly beans. 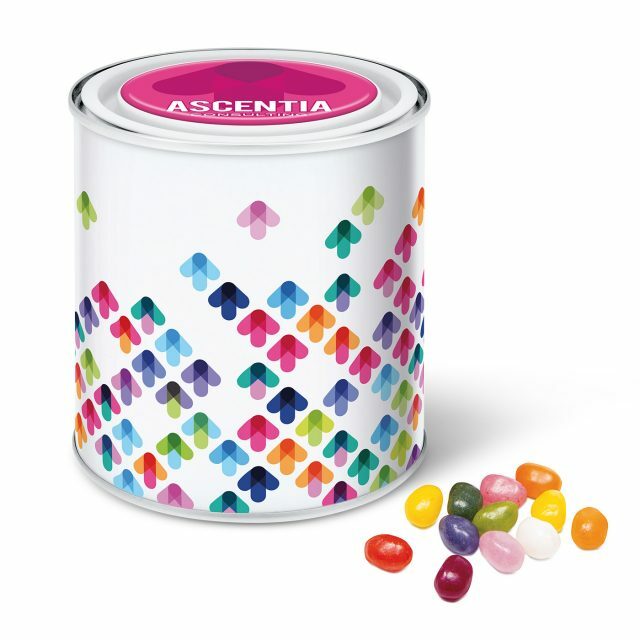 Branded with a full colour domed label to the lid. 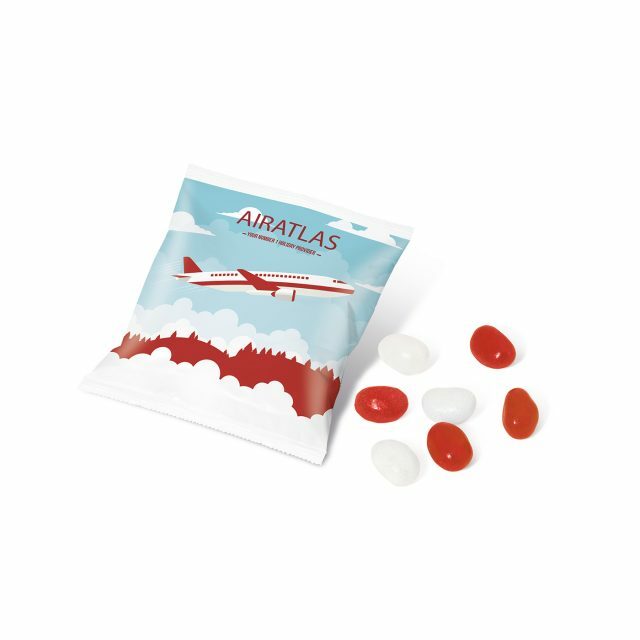 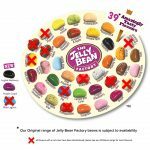 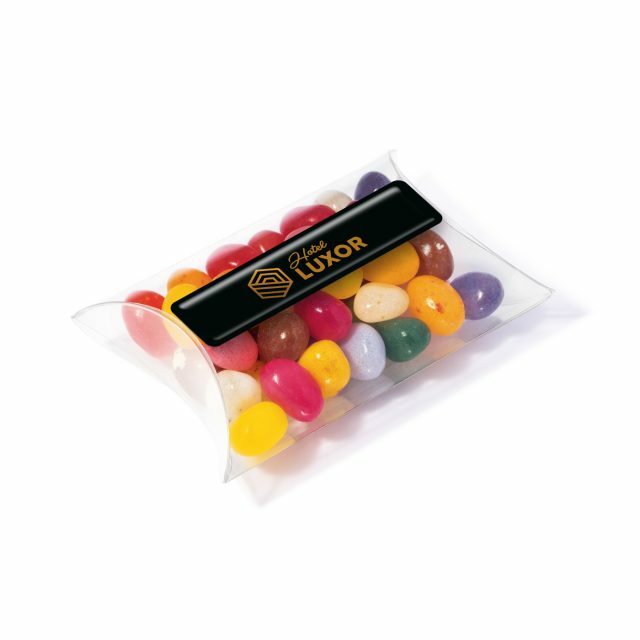 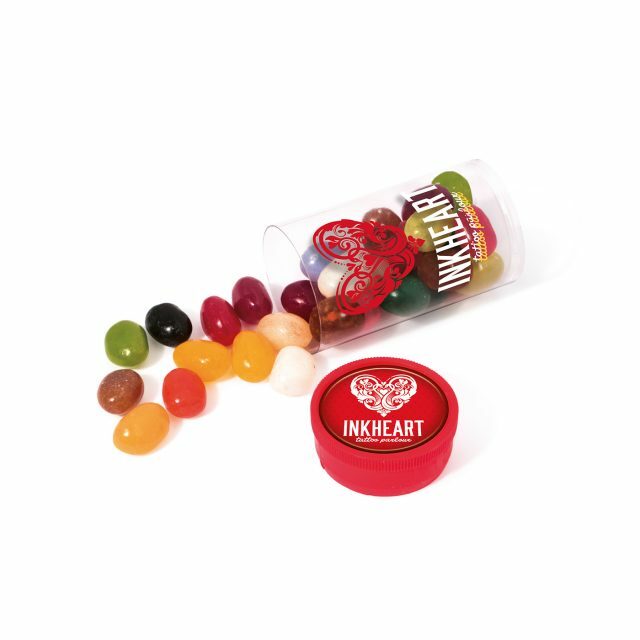 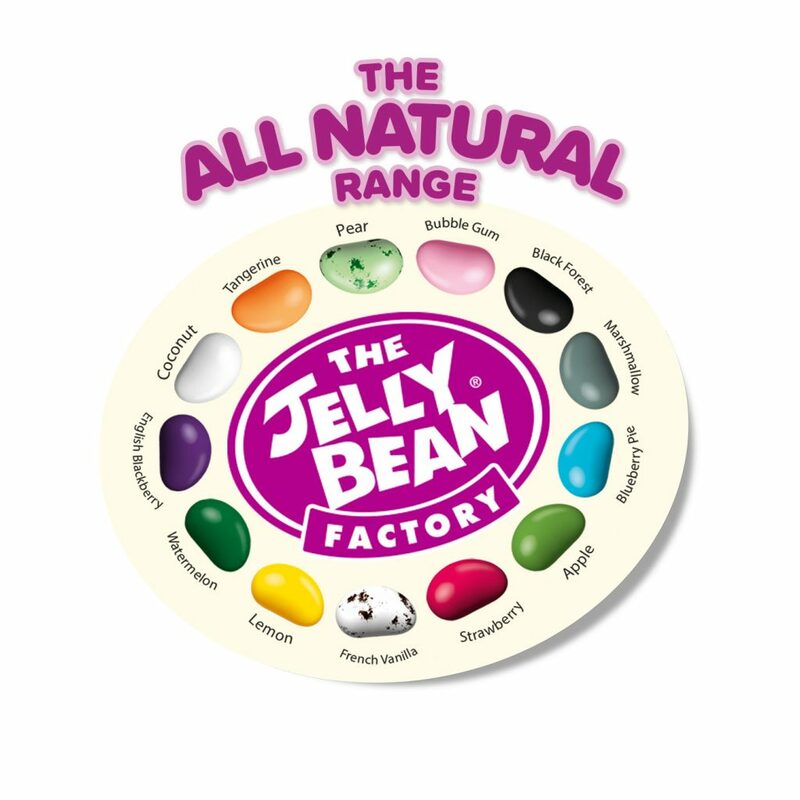 Remember to select your Jelly Bean flavours from the All Natural range, Original range* or go for our popular gourmet mix! 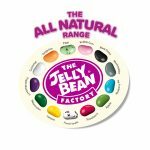 *our original range flavours are subject to availability as some flavours have been discontinued and are only available in limited quantities. 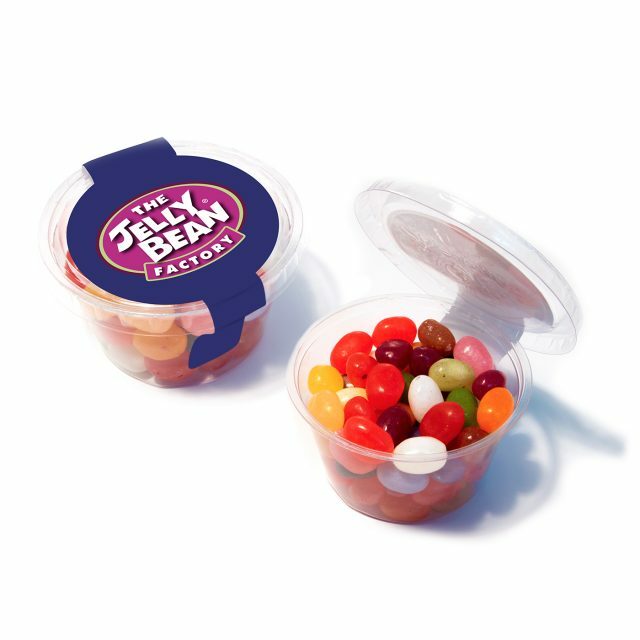 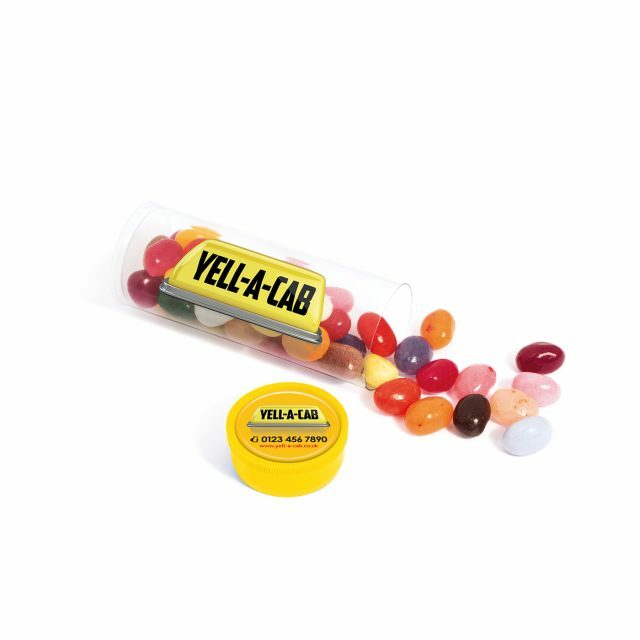 Original Jelly Bean Ingredients: Sugar, Glucose Syrup, Maize Starch, Water, Fruit Juice From Concentrate (Apple, Orange, Pineapple), Acids (Malic Acid, Citric Acid, Fumaric Acid), Glazing Agents (Shellac, Beeswax, Carnauba Wax), Natural Flavourings, Acidity Regulator (Sodium Citrate), Colours (Anthocyanin, Titanium Dioxide, Copper Complexes Of Chlorophyllins, Calcium Carbonate, Curcumin, Vegetable Carbon, Mixed Carotenes, Paprika Extract, Lutein, Chlorophyll), Caramelised Sugar, Concentrate Of Spirulina. 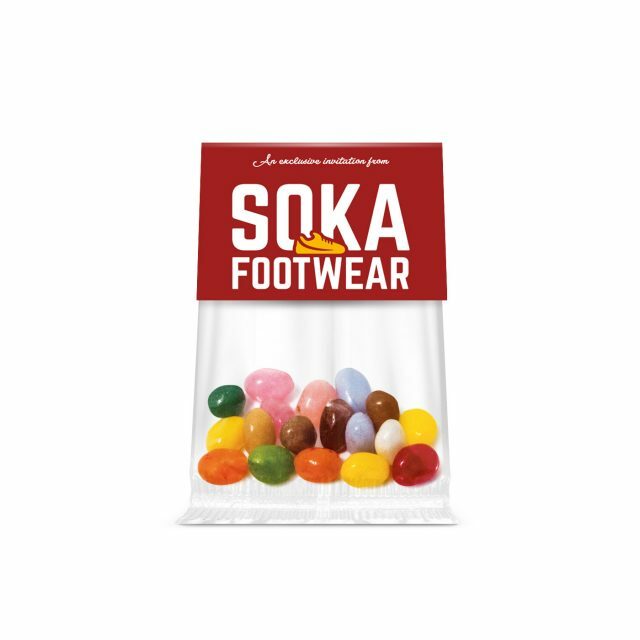 Nutritional information, typical values per 100g: Energy 1600kJ/382kcal, Fat 0g, Saturated Fats 0g, Carbohydrates 92g, of which Sugars 74g, Dietary Fibre – , Protein 0g, Salt 0.06g. 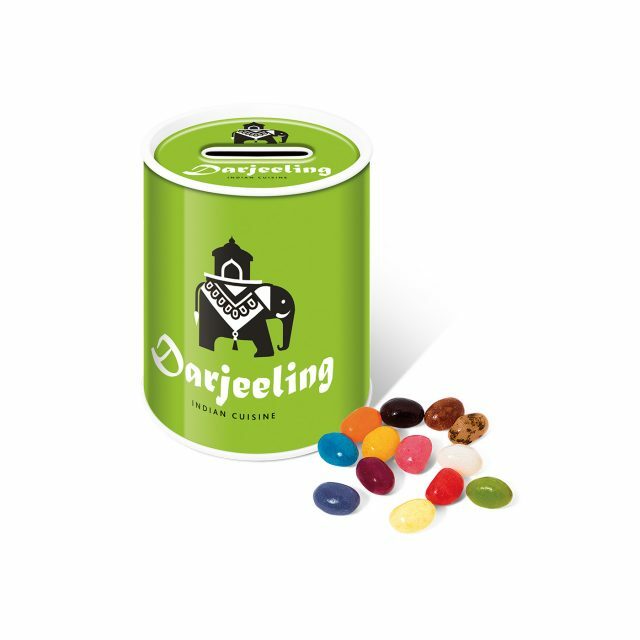 fruit juice concentrate (pineapple, orange, apple), natural flavourings, concentrate from (carrot, pumpkin, apple, spirulina, radish, blackcurrant, hibiscus), acids (citric acid, fumaric acid, malic acid), glazing agents (shellac, camauba wax, beeswax), caramelised sugar, acidity regulator (trisodium citrate), coconut oil. 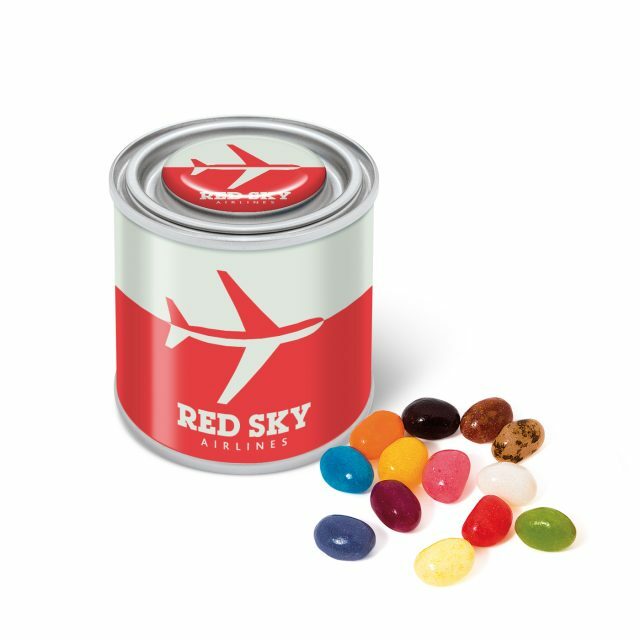 May contain nuts. 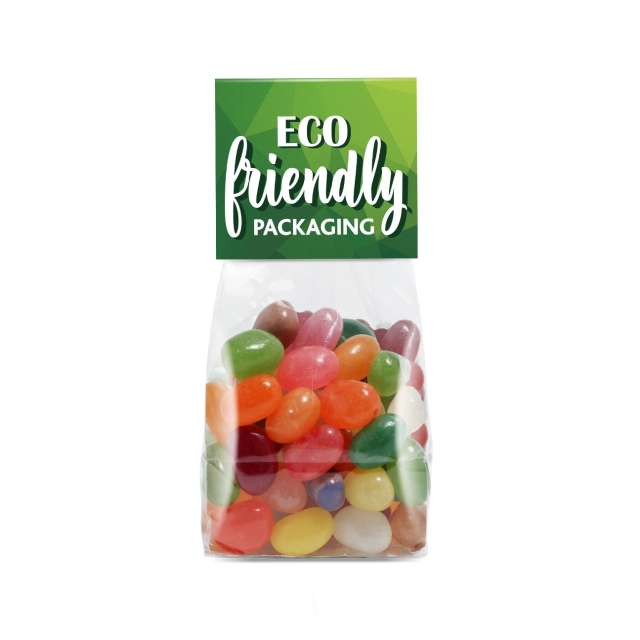 Nutrition Information, Typical values Per 100g: Energy 1576kJ/371kcal, Fat 0g, of which saturates 0g,Carbohydrates 91g, of which sugars 75g, Protein 0g, Salt 0.04g. 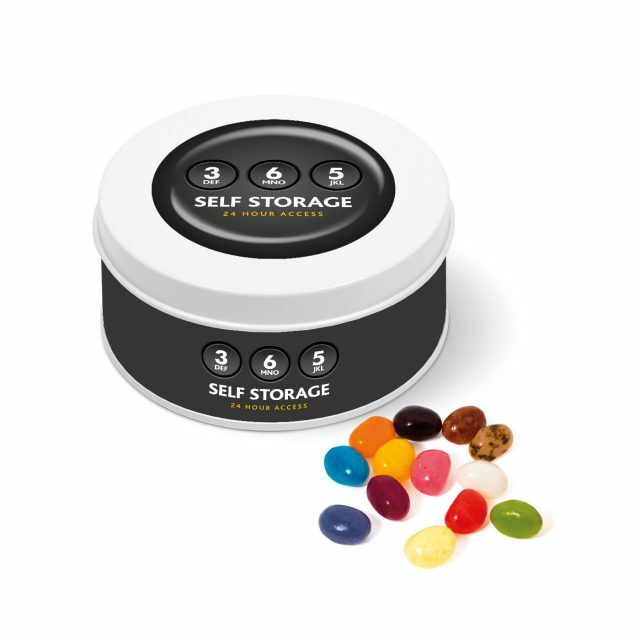 Store in a cool, dry place. 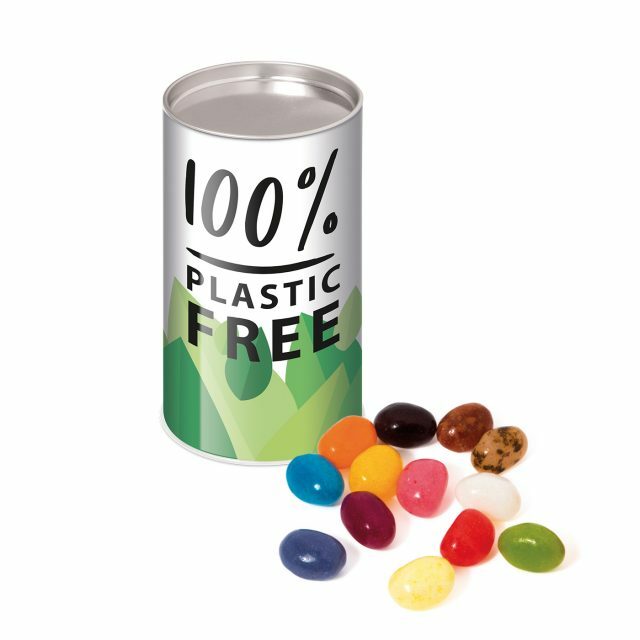 No Artificial Flavours/Colours. 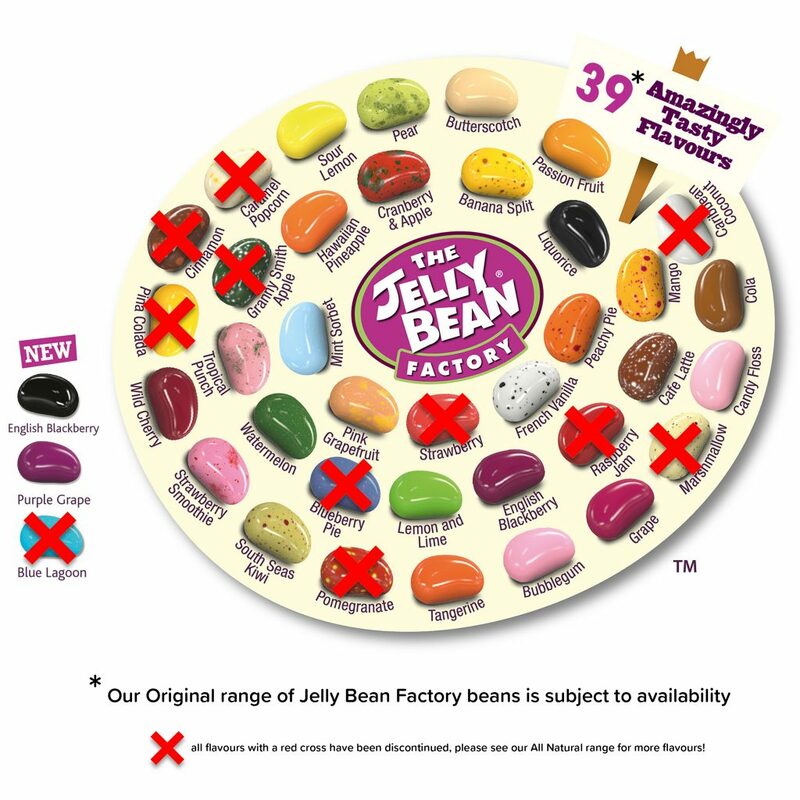 Made in Ireland. 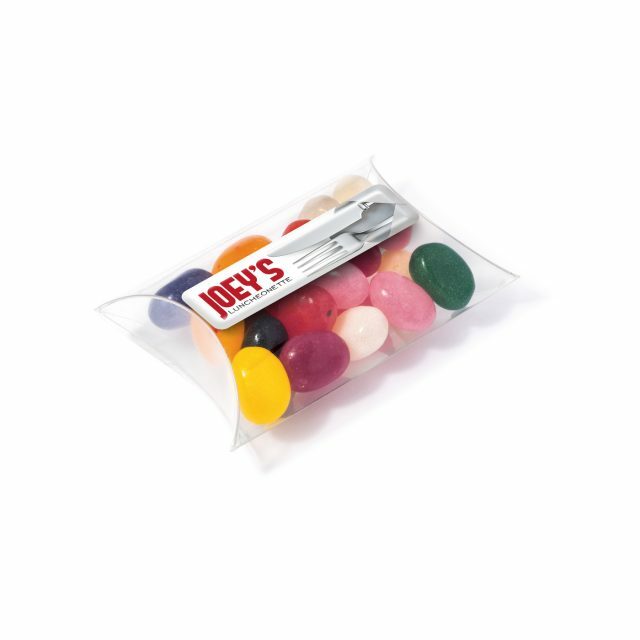 The Jelly Bean. 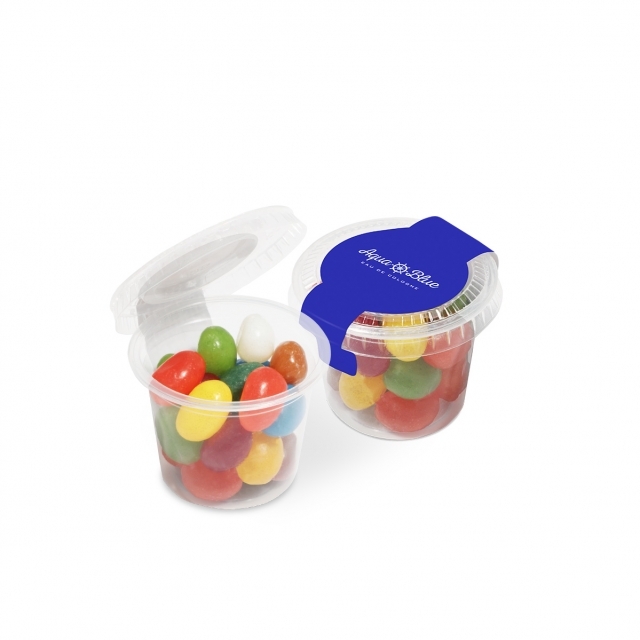 Factory is a registered trademark of CLOETTA IRELAND LTD.